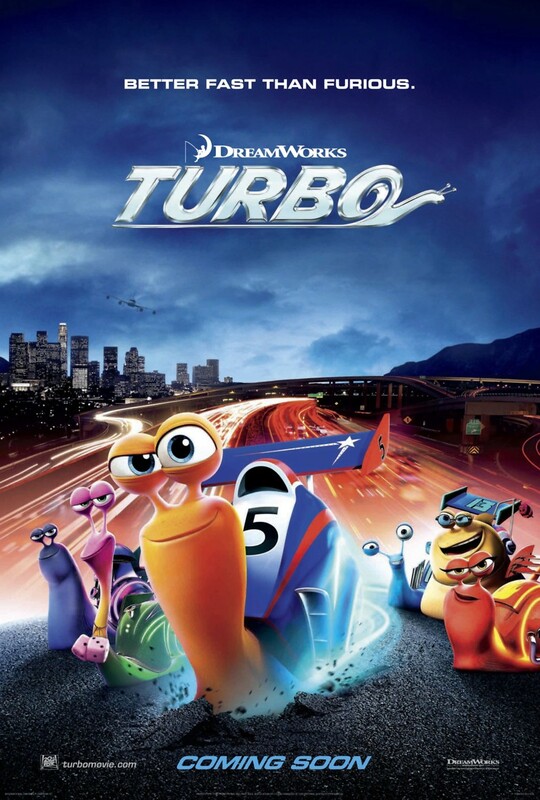 Turbo DVD and Blu-ray release date was set for November 12, 2013. Turbo is a snail with a very unusual dream. He wants to be a champion racer. Of course, snails are known for being among the slowest creatures around, but an accident gives Turbo unnatural speed. He becomes so fast that his dream may actually be within reach. He decides that despite all of the naysayers, he is going to try to win the Indianapolis 500. As he prepares for the big day, he makes some new friends who are vital in helping him truly be ready for the race. An efficient pit crew is one of the most important keys to a racer's success. Still, this is Turbo's lifelong ambition, and he is going to have to brush up his technique if he's to win.